The Comoros Islands have finally ended their long wait for a first win in competitive international football by beating Botswana 1-0. Ben Mohamed's goal was enough to give Les Coelacanthes victory at the Stade Said Mohamed Cheikh in Mitsamiouli. The Comoros are a group of islands off south-east Africa with a population of around 773,000. 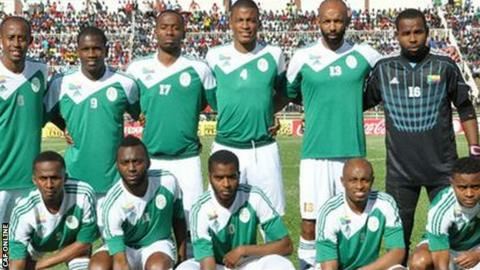 Their Africa Cup of Nations qualifier win was their first in 21 attempts since 2007. Torrential rain temporarily held up play shortly after Mohamed's goal in the 56th minute, but the match resumed and the Comoros held on to win 3,084 days after their first competitive outing. After three Group D qualifiers, they are level on three points with Botswana and Burkina Faso while leaders Uganda have six points. Gabon will host the 2017 Africa Cup of Nations finals.